Wixel Wireless Arduino Shield. This Arduino shield accepts the handy Wixel wireless USB module by Pololu, which allows you to wirelessly control and program your Arduino board. Some soldering required: The headers need to be soldered to the board (very easy). 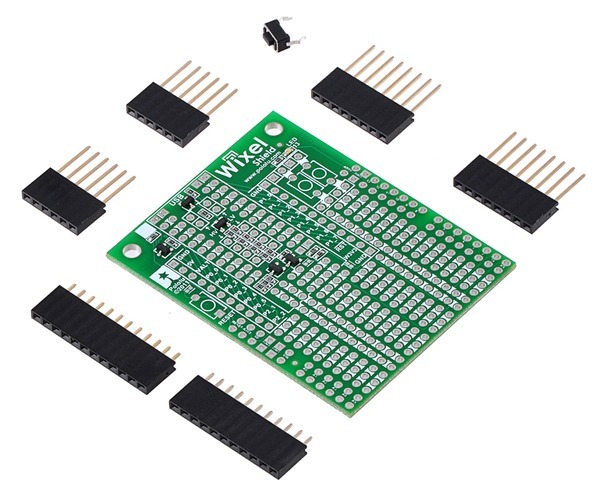 The Wixel wireless modules are kind of like Zigbee/Xbee modules, only easier to use. See the extensive documentation here for everything you need to know about using these handy devices. This shield requires the Wixel wireless module.